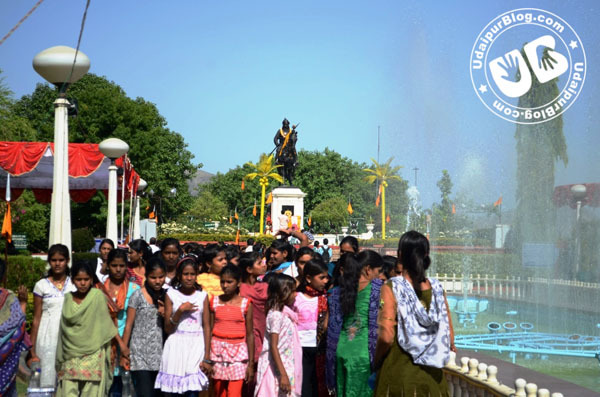 Yesterday was the day of immense pride and honor for the people of Mewar as we all celebrated 472nd birth anniversary of its greatest ruler, Maharana Pratap. 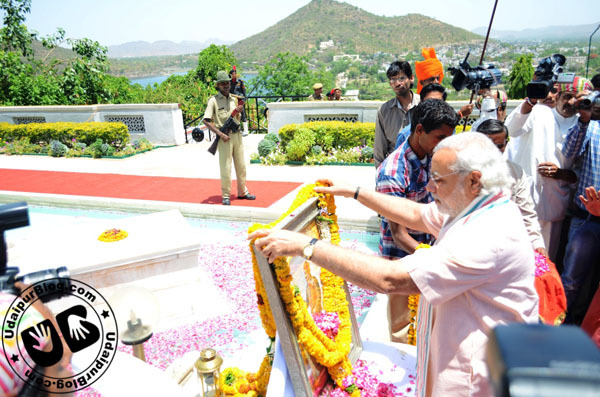 Though respect for him never diminishes in any heart, it seems like the birth anniversary gave an occasion to show their respect for this son of Maharana Udai Singh. 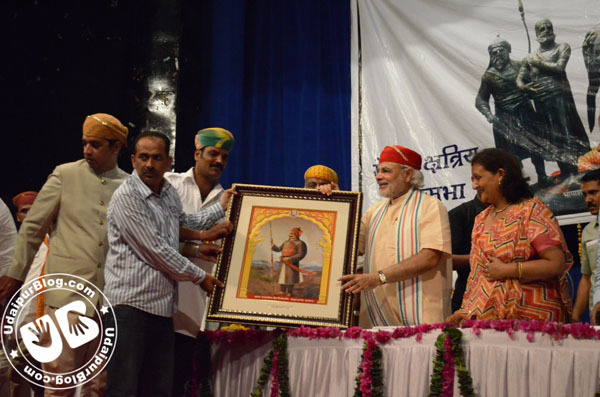 Udaipur was no behind in showing their pride and gratitude towards Pratap and his beloved horse, Chetak. 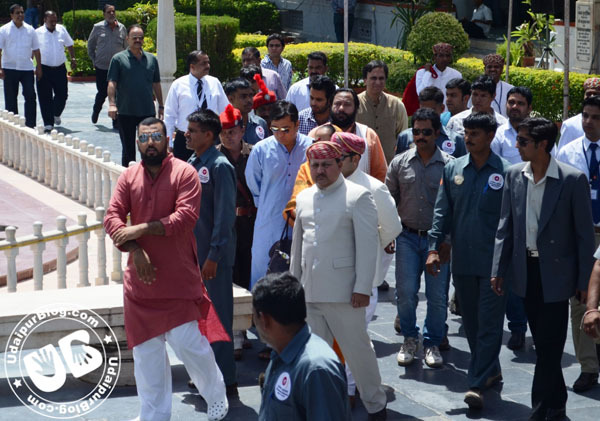 City Council and Kshatriya Mewar Mahasabha organized a rally that started from Moti Magri and ended at Town Hall passing through Chetak Circle, Hathipole, Moti Chohatta, Clock tower, Sindhi Bazar, Soorajpole, Bapu Bazar and Delhi Gate; the bands playing regional Mewari songs of Maharana Pratap and bravery giving Goosebumps to everyone the way. 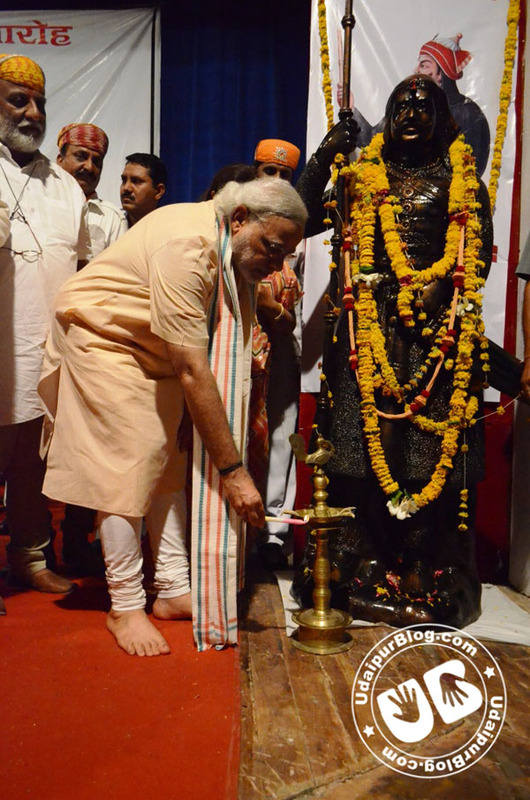 The Guest of Honor was Mr. Narendra Modi, CM of Gujrat, who along with the royal prince, Lakshyaraj Singh Mewar started the rally by offering flowers in the feet of Maharana Pratap’s statue at Moti Magri. 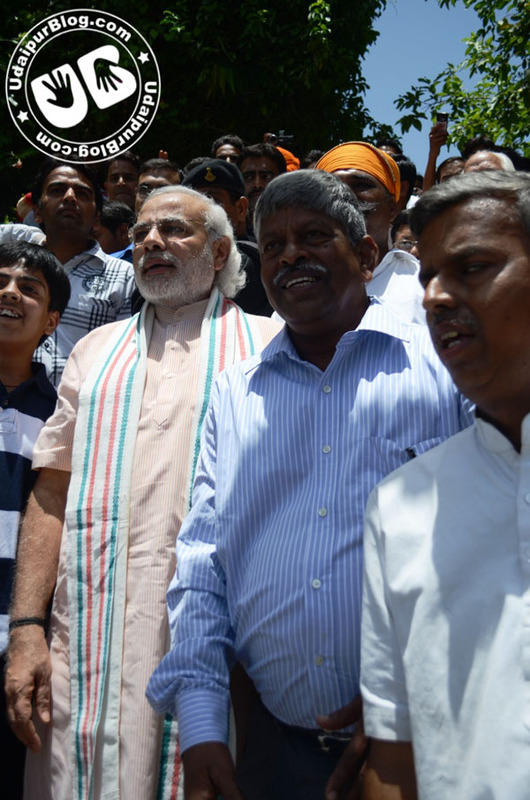 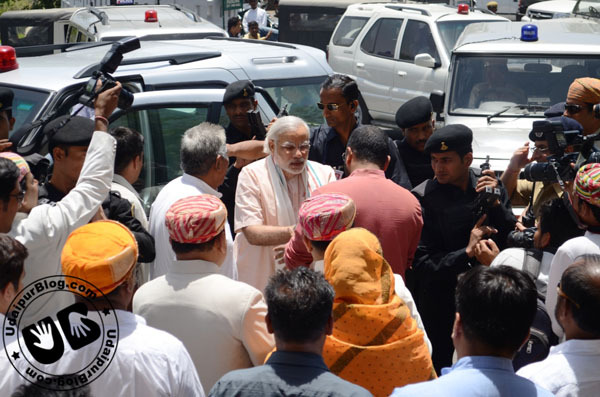 This was followed by the worship of Chetak at Chetak Circle. 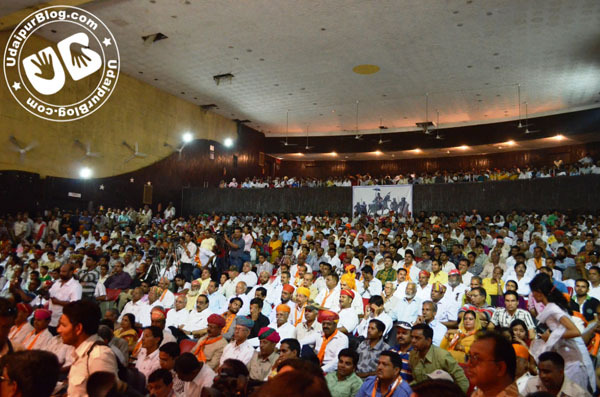 The shine of rally was increased by the esteemed presence of Mrs. Rajni Dangi, Mr. Mahendra Singh Shaktawat, Prem Singh Shaktawat and many others. 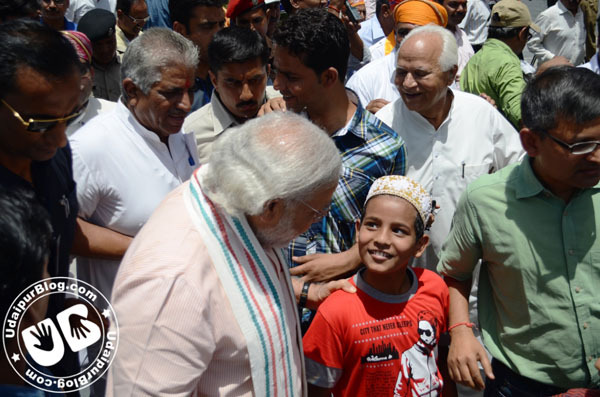 School kids on their skates were moving first followed in sequence by horse and camel riders holding Saffron flags, members of Mahadev Sena, Mewar Kshatriya Mahasabha and Shooldharini Sena. 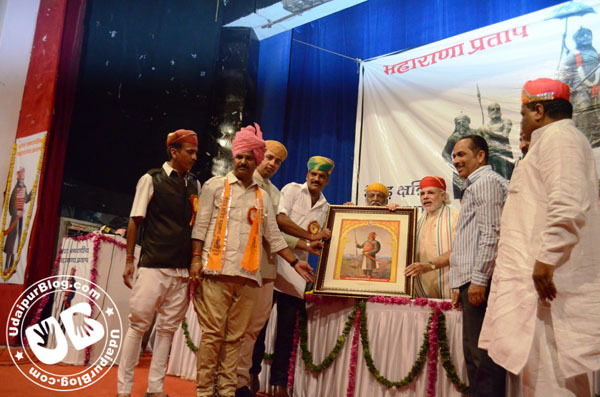 Jawans of Mewar Sindhu Brigade gracefully played the role of soldiers as they walked holding guns. 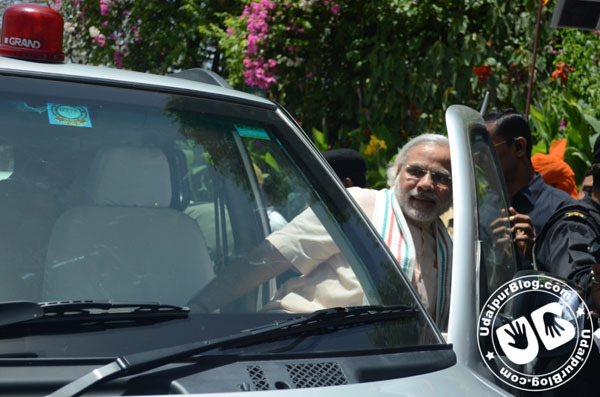 In the last was the statue of Maharana Pratap and Eklingnath Ji placed in an open jeep. 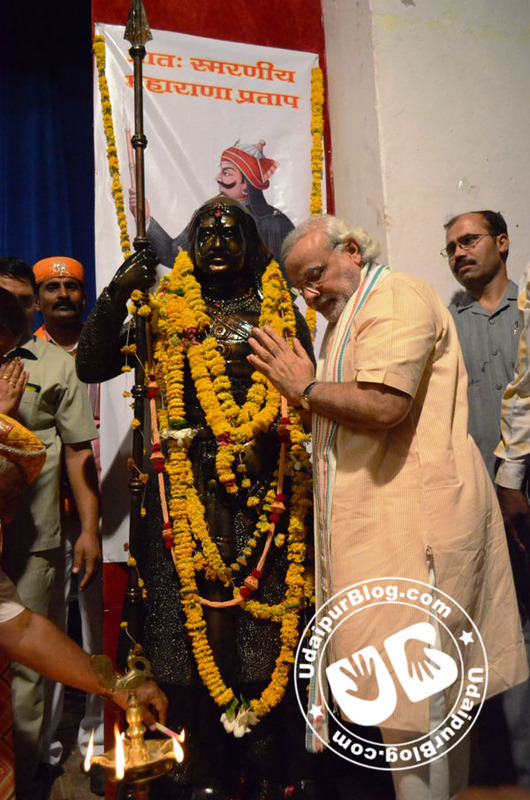 Even the statue of Pratap shined so brightly with bravery and self-esteem that every head bowed out of reflex in front of it. 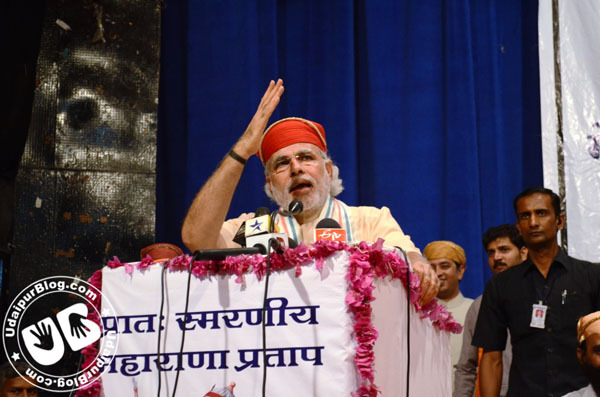 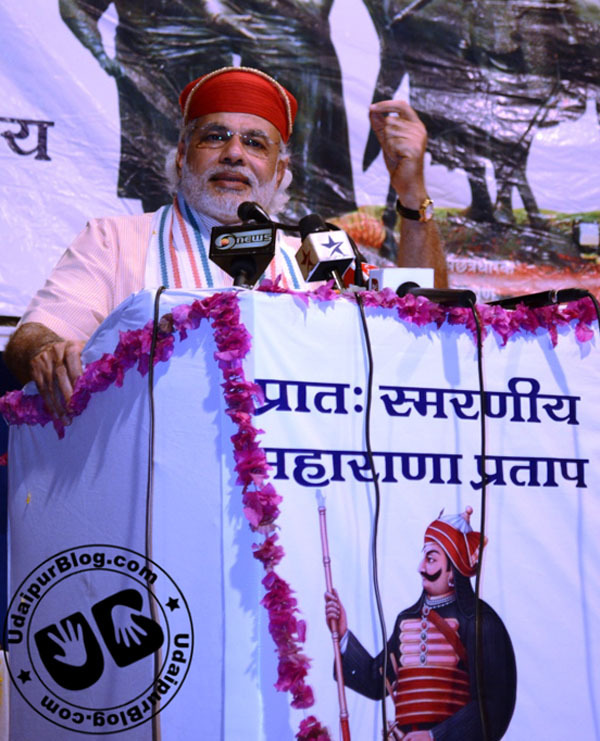 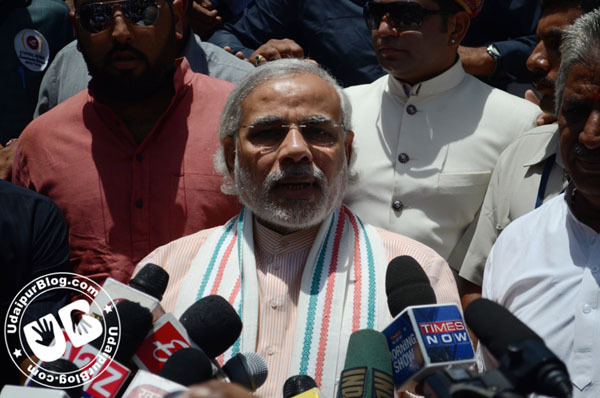 The rally ended with a programme at Town Hall where Narendra Modi addressed the gathering, expressing his respect for Maharana Pratap and his values and commenting on the state of political parties and the corrupt leaders. 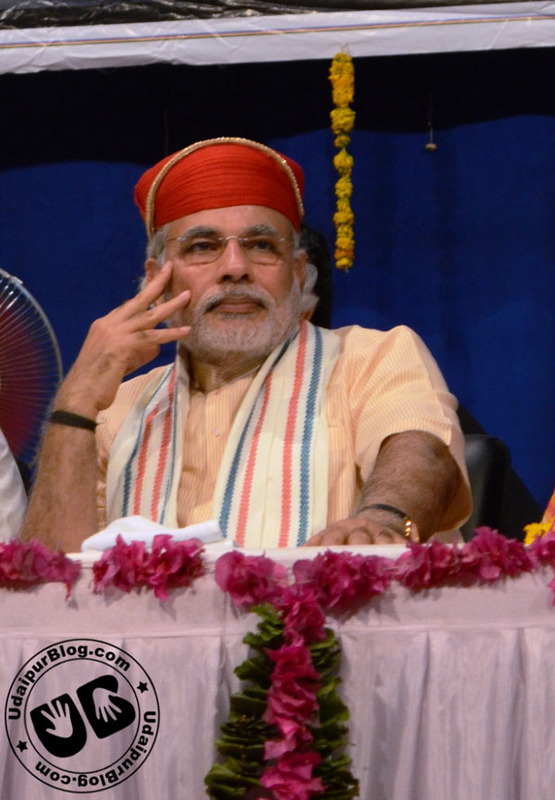 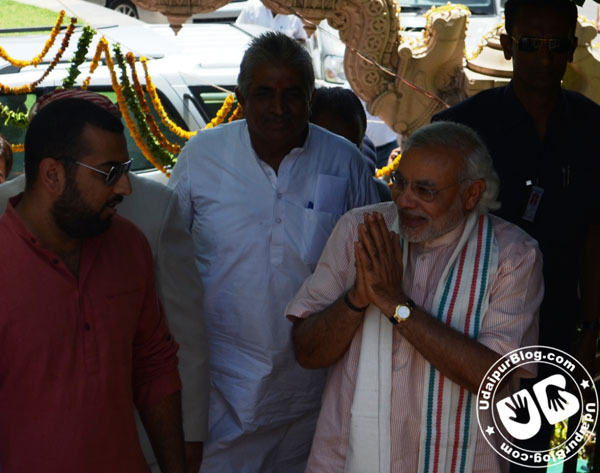 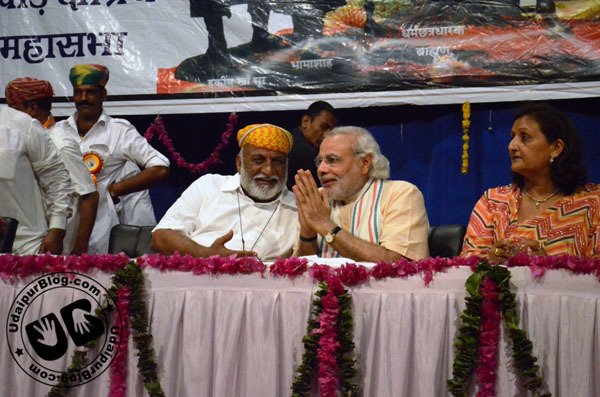 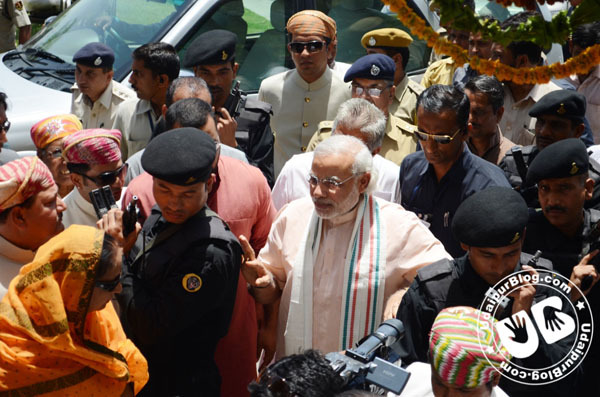 He also expressed his pride on Rajasthan – Gujarat relationships and on the progress of Gujarat.